What Are the Best Earplugs for Sleeping To Buy? 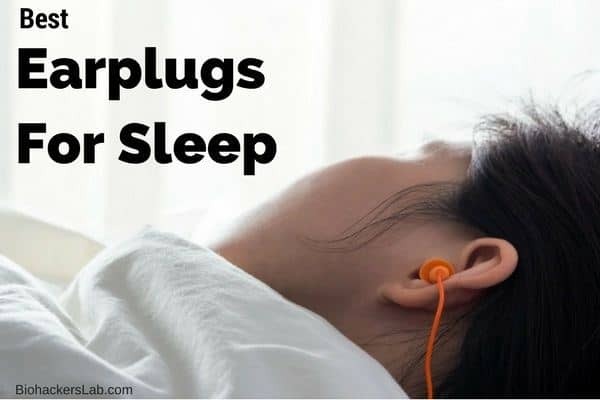 I went out looking for what are the highest rated & most recommended earplug products and brands that can help both adults, or children, block out noise and help them to drift off to sleep at night. 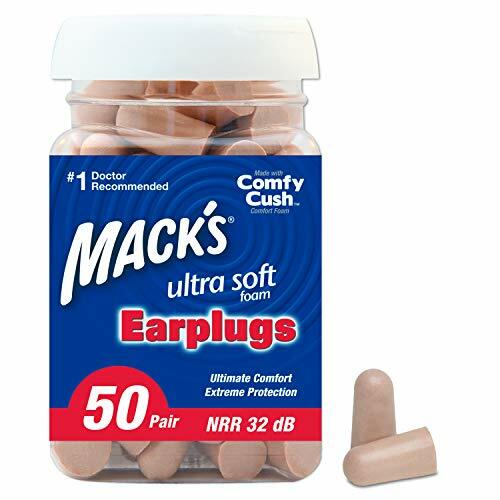 The Mack’s Ear Care Ultra Soft Foam Earplugs offer one of the lowest-pressure foam available. These earplugs are made of comfortable foam that slowly releases to fill the ear canal completely. At the same time, they are fully skinned and tapered, which means they can snuggly fit into almost any ear. They come in a variety of colors, too, some of which are made solely to find earplugs that escape during the night more easily among pillows and sheets the next morning. Mack’s earplugs offer some of the highest noise reduction at 32 decibels. Hence, they can be used for more than just providing a silent night’s sleep. For people who have large ear canals, these ear plugs could be a great fit. At the same time, they do not shut out all noise completely, which is great for in case of emergencies. Finally, since they are soft, they are not likely to cause pain to the ear canal as they expand. 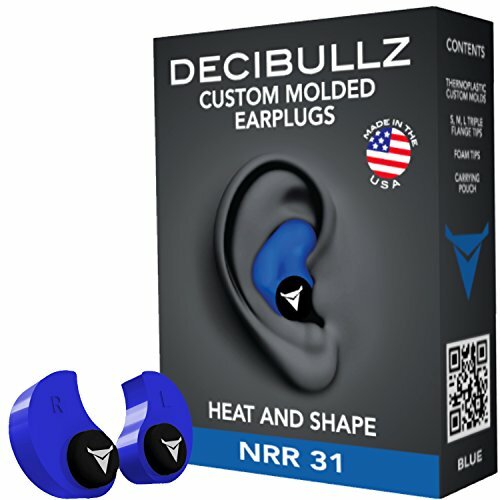 The Decibullz custom fit earplugs product is the option to go for to make custom molded earplugs for sleep. These earplugs can mold to the shape of the ear canal in a short timeframe, and the company claims pain should not be an issue. At the same time, they stay in for the night, which means avoiding the need to hunt them down in the morning. These earplugs can be shaped by applying heat to their outer surface by placing them in boiling water. After they have a moment to cool, they can then be inserted into the ear canal for shaping to take place. If a comfortable fit is not found the first time, then the heating process can be repeated to try again. The package comes with two custom molds, three sets of the triple flange tips, and one set of foam tips. Also, a carrying pouch is provided. Because of their unique shape, these earplugs can reduce noise by 31 decibels. 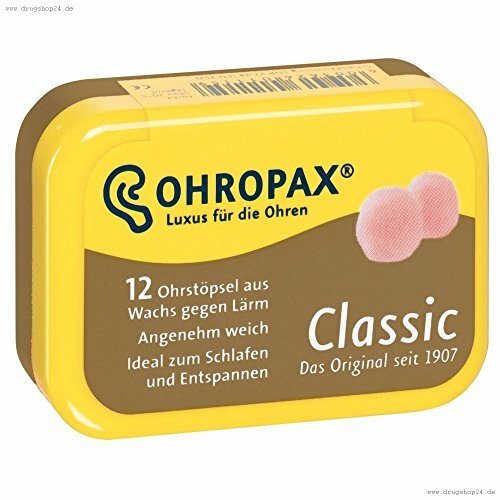 The Ohropax earplugs consist of a soft, waxy material that is covered in cotton. They can be molded to the inner ear within a few moments. As an extra bonus, they also prevent water from seeping into the ear canal. As long as they are kept clean and maintain their texture, they can last for months. One way to keep them clean is by placing them back into the storage container they came in. There are concerns about whether or not bacteria can grow on them and contaminate other pairs in the pack, though. Even though they can be reused, a chance exists that they will shrink over time. Hence, they might not fit the same way between wears. Additionally, they will reduce loud sounds, but they will not completely block noise out. This arrangement is perfect in case of emergencies at night. Sometimes, cotton can be left behind in the ear canal after these earplugs are worn, but it can be easily wiped away with a damp cloth. 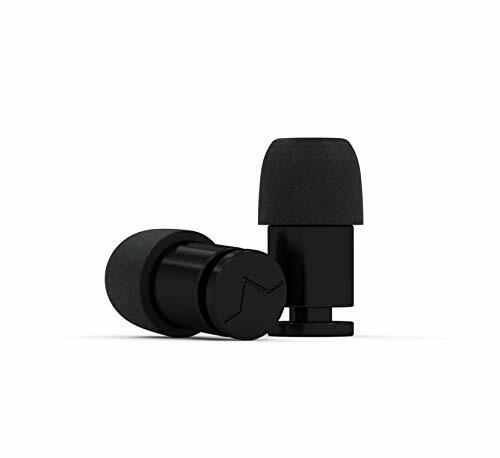 The Isolate earplugs are made of aluminium for maximum sound reduction. It even can block bass frequencies that other earplugs might let through into the ear canal. At the same time, it can perform this task without operating on batteries, nor do they need to be recharged. Sounds can still be heard through bone conduction, meaning that not all sounds will be blocked out in the case of an emergency. For the sake of finding them easily if they fall out during the night, they come in many bright colors. 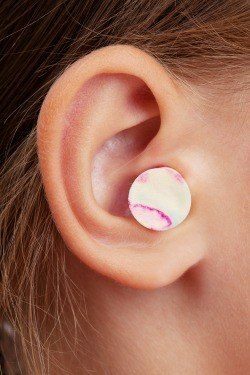 There are three EARFOAM tips that come with these earplugs, ranging from small to large. Small tips measure 11 mm, the medium ones measure 13 mm, and the large ones measure 14 mm. Replacement tips can be purchased through the manufacturer. Also, this set comes with a mesh storage and carrying pouch meant for keeping track of them during the day. While they can be seen from a side profile, they are otherwise difficult to notice in people’s ears. The Eargasm earplugs put a stop to harmful noise, meaning that hearing loss can easily be prevented. These earplugs provide a muffled sound experience, which is great for sleep because it means being woken up during extreme emergencies, such as if a fire alarm sounds. Two pairs come in this package, one for smaller ear canals and the other for larger ear canals. Hence, finding a proper fit is relatively easy. They have an elongated pull tab that makes removing these earplugs quite easy. Eargasm claims their pull tab is longer than those found on other brands. At the same time, they are made of a non-toxic silicone that is also hypoallergenic. They come with a storage case, which is designed to minimize space. Part of the storage container design lays the anti-slick interior, which means removing earplugs from the case is easy. Additionally, they will not slide around the case, which limits wear and tear. The case is waterproof, too. This feature means bacteria do not have the chance to grow inside of the carry case. I know you were looking for what are the best options, but here is some more detail as to why we need earplugs to help us sleep at night. Did you know that as well are asleep our brains still register and process sounds? Noise in bedrooms happens, even when it’s outside your control like environmental noise from the street outside or neighbours next to your room. Being able to get a good night’s sleep improves health in many ways like; reducing the risk of diabetes, heart disease, obesity, better mood, stronger immunity plus loads of other health benefits. But, one thing to remember is that we all tend to take good sleep for granted. Good sleep hygiene routines are important to help us get those much needed downtime hours we all need every night. If you; start to feel hungry and crave carbs, are gaining weight, having trouble making decisions or feeling irritable & moody, then a lack of sleep might be the culprit that you need to fix. I’ve looked at what are the different earplugs to help block out unwanted sounds to let you stay asleep. What are Earplugs and What Do They Do? Earplugs are meant to reduce sound by placing a composite material into the ear canal. They can be made from various types of materials, and some of them can also block water from entering the ear. Ultimately, they focus on reducing sound through decibel reduction, so not all sound can be blocked out completely in some cases. Foam earplugs: this material is among the most popular because it is cheap and easy to use. They are not always the most efficient in noise reduction, depending on the foam’s density. More often than not, people use them as a disposable option, but they can be worn several times. Silicone earplugs: this material is a popular material for earplugs because they do not break down as fast as the foam ones. They are also moderately priced in most cases. At the same time, they can be cleaned easily with a little water. Wax earplugs: this material has been used for years in some countries. They can be easily molded to the inner ear canal, and they sometimes come covered in other materials, like cotton. They shrink over time, so they are not as reusable as other models. Pre-molded earplugs: this type can be difficult to wear by some people. They are dense and not always forgiving for shaping into the ear canal. They offer some of the highest quality noise reduction, so the trade out for a snug fit might be worthwhile in some cases. When to Use Earplugs to Improve Sleep? To block out a partner’s loud snore or their sleep apnea CPAP machine at night. To block out noise whilst sleeping next to loud neighbours, or in student dorm rooms with a lot of people moving around. To reduce noise from freeway traffic, nearby train yards, and plane flight paths near living spaces like hotel rooms. To provide noise reduction for people who travel a lot in cramped spaces, such as on a train, bus, or plane. People who are sensitive to noises at night need help in not noticing the noise. Sudden, loud noises can also disturb sleep, waking a person too quickly. Noise exposure at night can be connected to cardiovascular disease. Some noise levels generate stress on the brain and body. Too much noise can cause headaches. Certain decibel ranges can cause damage to the inner ear, which fosters a situation for hearing loss over time. Living in areas of heavy traffic can range in noise upwards of 70 decibels. Any noise above 50 decibels can be considered dangerous to hear the quality. Both severity and intensity of noise levels impact sleep quality over time. Falling asleep to noise can mean not fully turning parts of the brain off, which disturbs certain cycles in sleep. Noise can also cause shorter REM sleep, which means short-term memories and information might not convert into the long-term memory part of the brain. Is It Safe to Wear Earplugs When Sleeping? In most cases, yes, it is safe to wear earplugs when sleeping. However, there are some situations they can cause an issue. If you have external ear canal eczema, psoriasis or an otitis externa infection, they can cause tenderness and irritation to the outer ear canal. They can contribute to ear wax (cerumen) compaction for some people. Lastly, earplugs can contribute to ear infections in some cases too. For a fast clean, soak foam earplugs in a small container with hydrogen peroxide for a few minutes. There should be enough hydrogen peroxide in the container to cover the earplugs. In this method, hydrogen peroxide loosens ear wax, making the surface of these earplugs more even once more. After soaking for a few minutes, the earplugs should be removed from the container and be permitted to run under cold water. Then, the earplugs can be dried by placing them firmly between two towels for a few moments. This process will squeeze out any water and hydrogen peroxide that might be left behind. Finally, the earplugs should be remolded and tested for shape and fit before they are used again at night. A mild soap can be used to remove added dirt, especially if a pair of earplugs found their way to the floor during the night. For this method, place the earplugs in a container with some warm water and a little bit of mild soap or dish detergent. Rub the earplugs around the inside of the container with fingers or a soft cloth. After the rubbing is over, run the earplugs under cold water for a good rinse. All of the soap must be removed during this process to keep the earplugs pliable. Once more, they should be squeezed between two towels to remove the extra water and soap. In order to remold them, pull on the edges until the original shape returns. In both cases, the earplugs need to fully air dry before they can be used for long-term wear. Even though a using earplugs can help block out unwanted noises that disturb your sleep, it’s important to remember that there are also other ways you can improve the quality of your sleep. 2.5 What are Earplugs and What Do They Do? 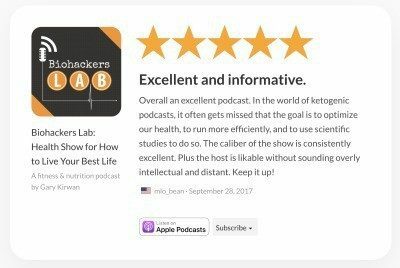 2.7 When to Use Earplugs to Improve Sleep? 2.9 Is It Safe to Wear Earplugs When Sleeping?